Thank you, Doctor DeLisle. Your identity has been confirmed. Security has you listed at Green Level Clearance. Welcome to the Project Vitruvius database. 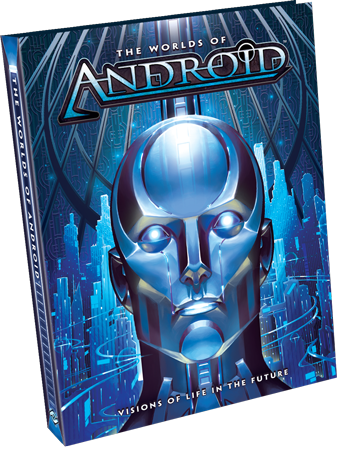 The Worlds of Android is now on its way to retailers, and you'll soon have your chance to crack open its lavishly illustrated pages and delve more deeply than ever into the not-too-distant future of the Android universe. Within its 272 hardbound pages, The Worlds of Android touches upon many different things. It is an art book, featuring scores of fantastic new art pieces. And it is your ultimate Android setting guide, offering insight into the four major corporations and how their technologies reshaped the Earth, Moon, and Mars. However, The Worlds of Android is even more than this; it is also a major endeavor of science fiction, one that explores the Android setting from multiple points of view. "Science fiction, we now see, is interested in more than sciences, more than machines. That more is always men and women and children themselves, how they behave, how they hope to behave." If you're not paying attention, you might think that science fiction is all about the fictional science. After all, it tends to be littered with flying cars, talking robots, laser weapons, and similar tropes. The truth, however, is that these things are only the vehicles that carry science fiction toward its true target—human interaction. Different authors have offered varying definitions of the genre, but they all more or less agree that the incredible technologies you'll find within science fiction stories are only interesting insofar as they lead to an exploration of how they could influence human behavior or what they prove about human nature. 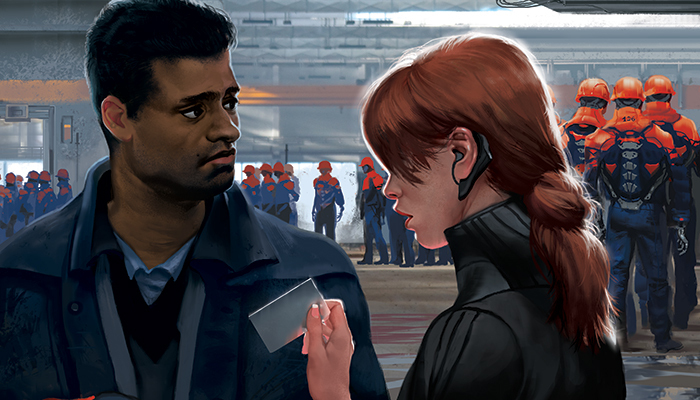 It is this human element that concerns us today as Fiction Editor Katrina Ostrander reminds us that it is the overwhelmingly gray morality of the Android setting that makes it exciting and gives it its edge. It’s easy to jump into the Android universe with the default cyberpunk assumption: megacorporations and governments are monolithic and evil, and the characters we should be rooting for are the disenfranchised renegades who have dared to take them on despite being outclassed, outnumbered, and presumably outmatched. But nothing is so simple. The Android universe isn't neatly divided into good or bad, black or white. As in our reality, governments are still independent entities. They can be influenced by all kinds of special interests, from manufacturers to labor unions to consumer protection groups. 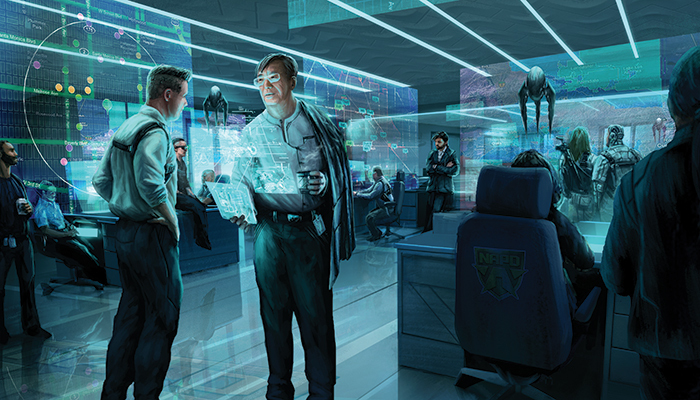 Megacorps are neither good nor evil. They are complex institutions run by boards of directors and operating in service to their stockholders. Most importantly, their pursuit of profit has, in fact, made life better for billions of people worldswide. This moral ambiguity is central to The Worlds of Android, and its exploration of the major corps and their products covers everything from their tremendous contributions to the human race to their more dubious practices and policies. "The corporations do what they do because they have the money and will to shape the future. Profiting from the advances they make is no crime. Who would seek to disrupt such a future?" As one example, the Beanstalk began as one man’s idea to change the world. Jack Weyland saw an opportunity to revolutionize space travel, and it has made corps like Weyland and Melange Mining massively rich and powerful. Since then, these corporations, like every other corporation throughout the history of humanity, have sought new ways to leverage their power and wealth, ways that have little or nothing to do with Jack Weyland's original vision for the Beanstalk, yet the corporations' actions have made them frequent targets for social protests and criminal retaliation. At the same time, the good that resulted from the Beanstalk cannot be denied. It allowed humans to truly begin colonizing Luna and Mars, and the lower gravity on Luna has made the colonies there a prime retirement destination for the world’s senior citizens, allowing increasing numbers of people to live out their days in comfort. Similarly, the androids made by Haas-Bioroid and Jinteki are neither good nor evil. But they have created a disposable labor force, taking the jobs that are too dangerous or too onerous for humans. As a result, humanity enjoys greater productivity than it ever has, and many jobs that were previously made impossible by the limitations of the human physiology are now moving squarely into the realm of the possible. But whether or not you believe these corporations are working in favor of humanity tends to depend upon your point of view. Those people pushed to the margins of the redefined workforce tend to view Haas-Bioroid and Jinteki in oppositional terms, often relating them to their products as though they were every bit as cold or processed as their androids. "Let's gather up the bits and pieces and define the Simon-pure science fiction story: 1. The conditions must be, in some respect, different from here-and-now, although the difference may lie only in an invention made in the course of the story. 2. The new conditions must be an essential part of the story. 3. The problem itself—the "plot"—must be a human problem. 4. The human problem must be one which is created by, or indispensably affected by, the new conditions. 5. And lastly, no established fact shall be violated." The truth of the situation is that despite some of the changes in the labor market, Haas-Bioroid and Jinteki—like most corps—are still primarily staffed by people, with all the variety and conflict that entails. Genegineers at Jinteki or executives at Haas-Bioroid can be heroes or villains, altruists or criminals. Many of the people that work for the corps are idealists, trying to better the world. Some are cynical, looking out only for themselves out of perceived necessity. The major difference between these corporate employees and those who work outside of the corps is the sheer scale of the companies for which they work, so that the good or ill of their contributions may be amplified or muted to the extreme, depending upon their measure of influence. The Worlds of Android gives us a glimpse into the minds of several corporate employees: the lives they lead and the principles they uphold. Advances by entrepreneur scientists like MirrorMorph’s Mara Blake have taken neural channeling to new heights, helping to produce highly advanced bioroids capable of detective work for the NAPD. On the other hand, rumors abound of the “Cleaners” employed by the Weyland Consortium to cover up their own negligence and abuses… Who are those people that work for Pensions and Retirement, really? The corps are many things to many people. The risties and the upper middle class rely on the corps to give them the way of life they have come to expect from their penthouses and suites within New Angeles’s towering arcologies. But for the common man, many of these luxuries are out of reach or worse, have dislodged them from the labor market. Do the drawbacks outweigh the benefits? Do the corps deserve our admiration or admonition? One’s view of the corps in the Android universe depends entirely on where in the social order you rank, and what you stand to gain or lose. What do androids mean for the future of humanity? How will space elevators affect the rich and the poor? What does the Network mean to a disenfranchisto who can't afford to feed her child, much less provide him the advantages of g-modding? Why do we continue to direct so many of our brightest minds toward the design of weapons and instruments of war? "Above all, science fiction, as far back as Plato trying to figure out a proper society, has always been a fable teacher of morality… There is no large problem in the world this afternoon that is not a science-fictional problem." For all of its focus on new technologies and new horizons, The Worlds of Android remains profoundly human. Its fiction is compelling because of its immediacy. 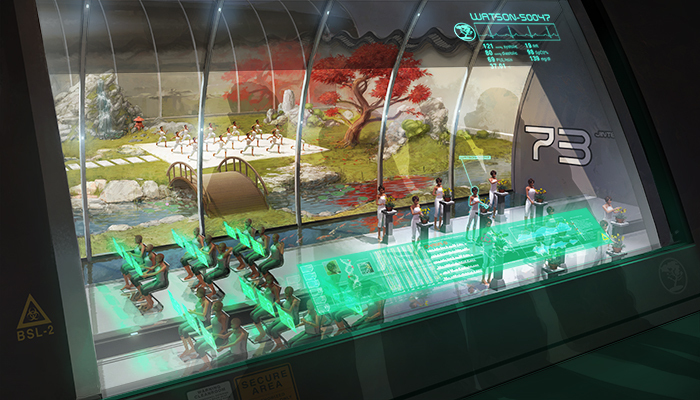 What will you find when you pick up your copy of The Worlds of Android? After all, when we read science fiction, more than anything else, we are reading about ourselves. Vitruvius trial #45718.3 (Classified: Green Level Clearance) – The bioroid's upgraded neural network is now limited primarily by the quality of the brain taping process. We are currently able to retain 99.99348% of all of the subject's brain activity. The question is what aren't we capturing in that final 0.00652%, and would we miss it?